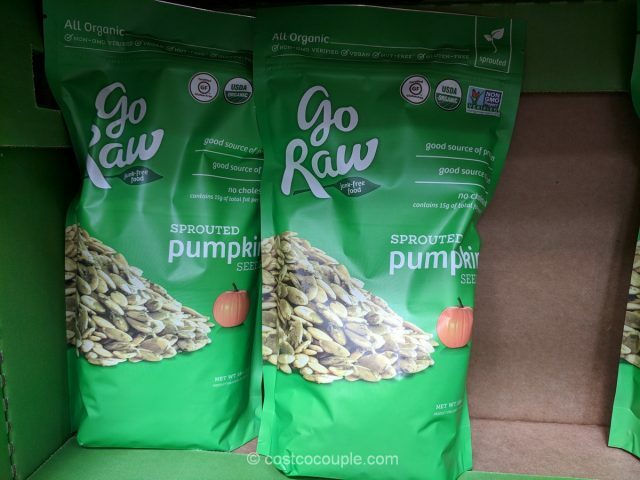 We were looking for a healthier snack and came across the Go Raw Organic Sprouted Pumpkin Seeds. 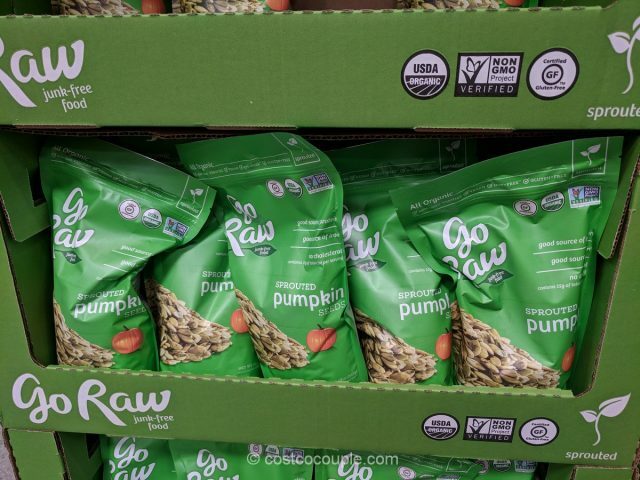 Pumpkin seeds are tiny but they are a good source of protein, iron, magnesium, copper, manganese, etc. 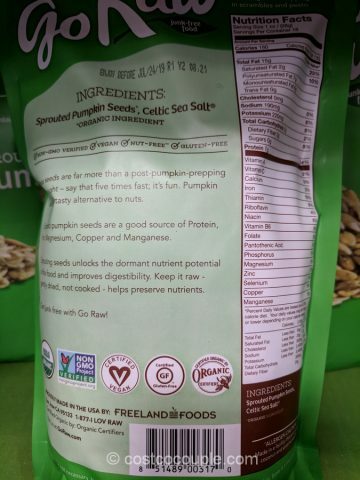 Sprouting seeds supposedly improves digestibility. 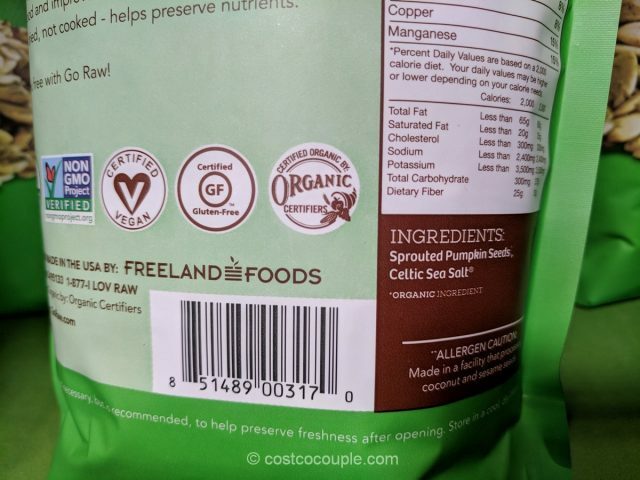 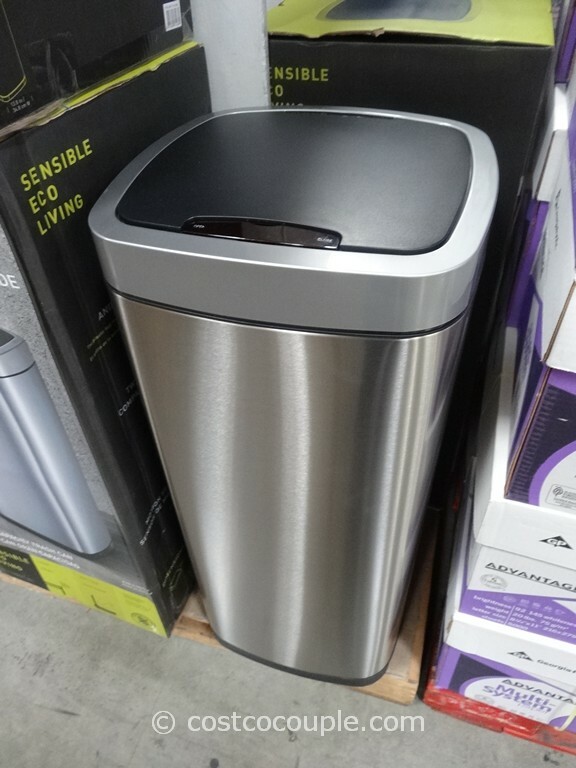 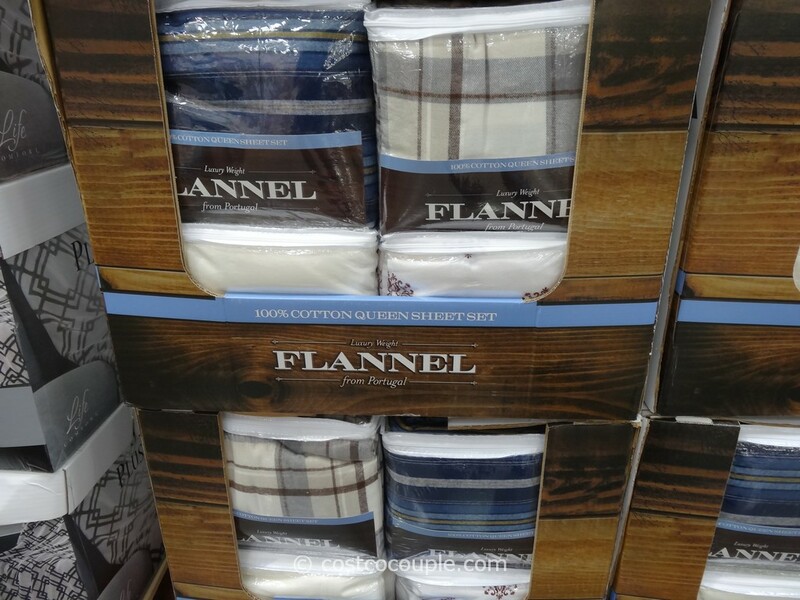 Certified Organic, Vegan, and Gluten-Free. 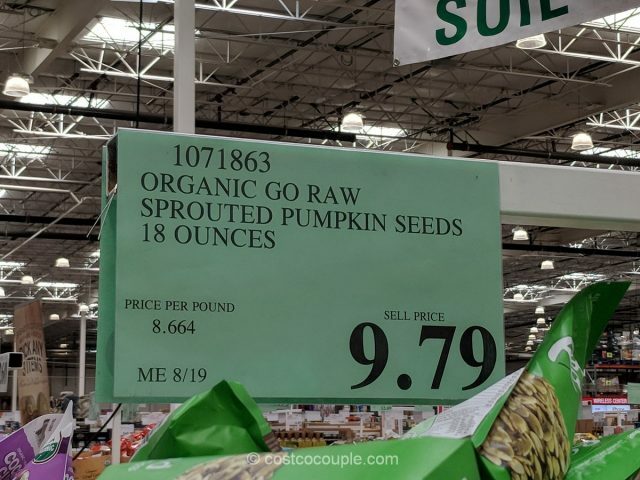 The Go Raw Organic Sprouted Pumpkin Seeds are priced at $9.79 for an 18-oz bag.